We know that levels of home ownership rise amongst those with higher levels of education. However, we also know that as that level of education rises, typically so does the amount of debt required to attain it. These two trends get interesting when you compare the level of home ownership between college graduates who borrowed heavily to finance their education and those without student loans. The cost of higher education is rising, that’s not news. 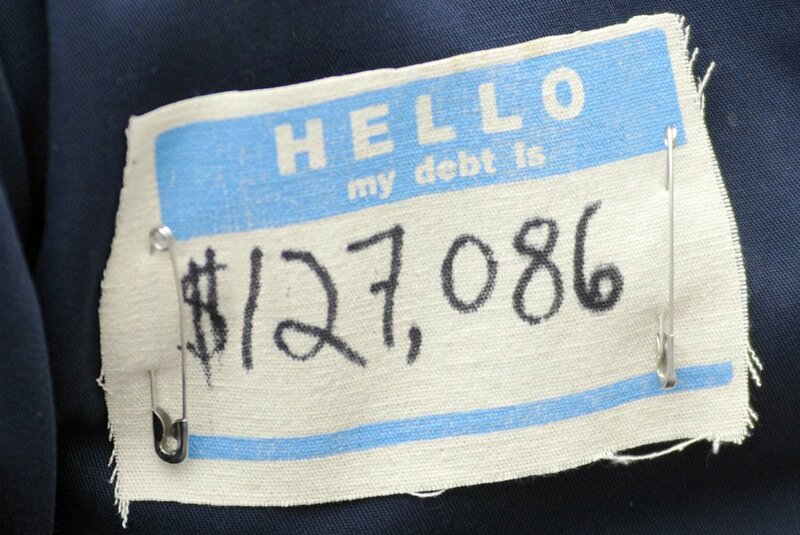 It is shocking to see the impact this is having on the national debt. Student loans now account for 10.4% of that total – and many college educated individuals are too concerned with tackling the debt to even consider taking out mortgage. Or, they can’t get pre-approved because they haven’t been paying their student loans properly. About 30% of borrowers who graduated between 2009 and 2011 have defaulted on their student loans, probably because the payment is completely unrealistic compared to the salary they are earning. Studies have shown that the home ownership rate of 33 year old college graduates without student loans is 45%, which is 5 percent higher than those who have just $20k or more in student debt. It makes sense. If you are bogged down in student loan debt, it’s bound to affect your ability to not only get pre-approved for a mortgage – since your debt-to-income ratios may not be so pretty – but also your ability to save for a down payment. First and foremost, if you’re in default – you have to start taking those phone calls. The loan servicer would rather you make some payment than no payment. So be firm and say I can’t afford the payment you are asking for, let’s negotiate something that I can start paying each month. They will start out aggressive, but if you persist you should be able to gain some ground. Then once you are making regular payments, you will have more options to refinance or consolidate the debt. Plus your credit scores will begin to improve. When it comes to getting pre-approved, your lender needs to know how to handle your student loan debt – if it’s in deferment, forbearance, on track to be forgiven or income based on a year to year basis. This will directly impact the price range you qualify to shop in so make sure to provide accurate information. People with hundreds of thousands of dollars in student loan debt qualify every day to get a mortgage. Meaning: there’s no reason not to apply and find out where you stand.